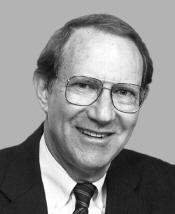 Anthony Charles Beilenson (October 26, 1932 – March 5, 2017) was a Democratic Congressman from Southern California who served ten terms in the United States House of Representatives, from 1977 until 1997. Beilenson was born in New Rochelle, New York, and grew up in an upscale suburb of New York City. He attended Harvard University, where he earned BA (1954) and JD (1957) degrees. Beilenson then relocated to Los Angeles and became a partner in a Beverly Hills law firm which represented the film industry. In 1968 Beilenson was an unsuccessful candidate for the Democratic nomination for the U.S. Senate, losing to Alan Cranston. Beilenson was then elected to and served ten terms in the U.S. House of Representatives in the United States Congress, beginning in 1977, until his retirement in 1997. While in Congress, he served on the House Rules Committee, and as Chairman of the Permanent Select Committee on Intelligence, 1989–1991. Beilenson was a member of the ReFormers Caucus of Issue One. In 1998, in tribute to his long career of community and government service to California, Lake Balboa Park, in Van Nuys was renamed the "Anthony C. Beilenson Park". The park, which is located along Balboa Boulevard in Van Nuys, is an 80-acre (320,000 m2) water recreation facility, with Balboa Lake at its center, and containing a universally accessible playground. The 27-acre (110,000 m2) artificial lake is supplied with reclaimed water from the Donald C. Tillman Water Reclamation Plant. He and his wife Dolores were also honored by the Jewish National Fund, San Fernando Valley Region, in 1991, for Congressman Beilenson's career of service as a public official, and for Dolores Beilenson's service as co-chair of the Congressional Wives for Soviet Jewry. Beilenson died at his home in the Westwood neighborhood of Los Angeles on March 5, 2017, after suffering a heart attack. He was 84. ^ Stone, Kurt F. "The Jews of Capitol Hill: A Compendium of Jewish Congressional Members, (2011). Pages 320–324. ISBN 9780810857315. ^ Stall, Bill (June 10, 1971). "Reagan's Welfare Reform Is Killed". The Daily News. Associated Press. Retrieved February 2, 2014. ^ "California seeks legal abortions". The Ottawa Citizen. Associated Press. May 21, 1964. Retrieved February 2, 2014. ^ "Desert Sun 10 July 1968 — California Digital Newspaper Collection". ^ Congressional Directory, U.S. Government Printing Office, Washington, D.C.
^ "ReFormers Caucus - Issue One". ^ "Parks - City of Los Angeles Department of Recreation and Parks". ^ Yoon, Edward M. - "Park Is Renamed to Honor Beilenson", Los Angeles Times, March 3, 1998. ^ "LAKE BALBOA/ANTHONY C. BEILENSON PARK". laparks.org. Retrieved February 2, 2014. ^ "Rep. Beilenson, Wife to Be Honored Sunday," Los Angeles Times, June 19, 1991. ^ Hamilton, Matt (7 March 2017). "Anthony Beilenson, 10-term congressman who championed Santa Monica Mountains, dies at 84" – via LA Times. United States Congress. "Anthony Beilenson (id: B000318)". Biographical Directory of the United States Congress. .